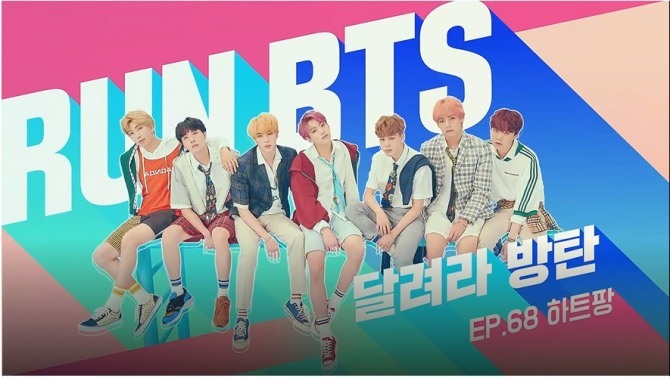 Passionate and playful sides of BTS were fully shown again as they played board games in 68th episode of “Run BTS!” on Naver’s V Live. In a pregame named Halli Galli, Jin amazed the members fully demonstrating his knack for the speedy pattern spotting game and got to choose RM and Jungkook to play the main game. Divided into three groups the eight-member group began rounds of a custom made board game that twisted Korean traditional game yutnori. Suga and Jungkook needed some time to catch up with the concept but when they did tension of the game elevated. Jin lost his confidence along the game while Jimin and V remained calm softly speaking to each other. Suga and J Hop’s team went through ups and downs when they miscalculated the outcome. The oldest member, however, proved himself as a master of board game letting his team win with a lucky roll of dice. As a penalty Jimin and V had to wear a T-shirt Jimin “designed” in the next episode. Watch the full clip at https://www.vlive.tv/video/118016. 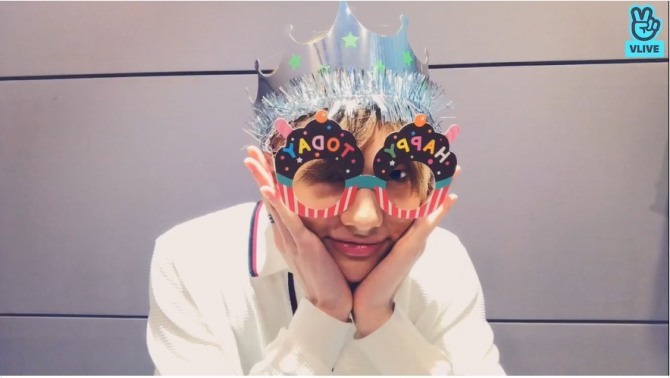 Stray Kids’ Hyunjin thanked his fans for celebrating him on the eve of his birthday wearing a cute pair of fake sunglasses and glittery crown. “Thank you so much everyone … and I really was surprised when I heard about and saw pictures of advertisements and customized goods for me!” said the 19-year-old trying to keep up with the overflowing feed of messages from his fans. Stray Kids will release their new album and title song on March 25. They will also air a showcase performance online on the same day. Watch the full clip at https://www.vlive.tv/video/119215. 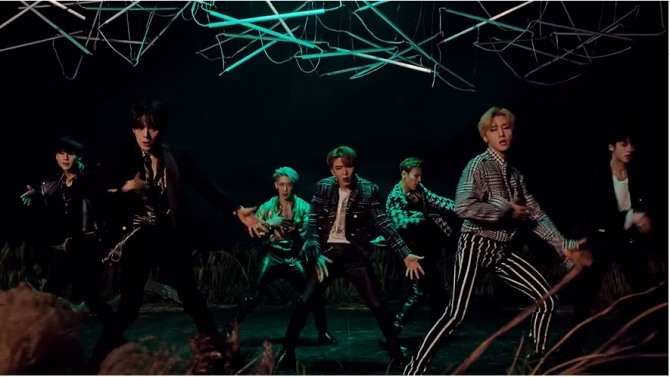 Monsta X uploaded a different version of music video for “Alligator,” showing powerful dance moves against dramatic backgrounds and dazzling effects. It is the title song from their second album “Take.2 We Are Here” that has swept across music charts at home and abroad upon the release in February. The seven-member group is having concerts in Seoul in April 13 and 14 and all tickets were sold out in 70 seconds according to their company. They also debuted as a regular in tvN’s new entertainment program “Show! Audio Jockey,” alongside four other including signer Seong Si-kyung, first aired last week. Watch the full clip at https://www.vlive.tv/video/119192. 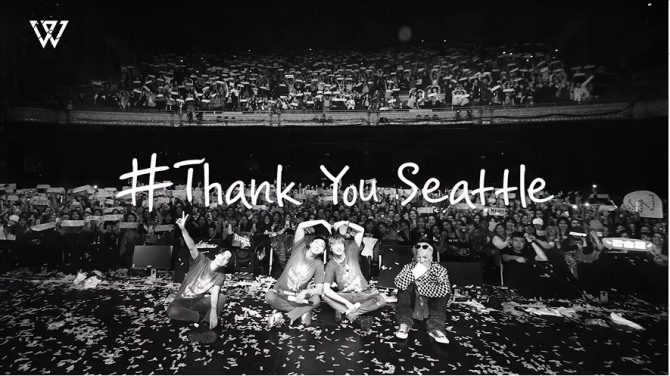 Winner shared moments captured from their US tour thanking fans for a successful concert in Seattle, in their seventh episode of their show on Naver’s V Live. During the 10-hour flight Seungyoon let the fans watch himself making the most of the time: filling out forms, listening to music, teasing Mino and Seunghoon, eating the flight meal and a bowl of ramen and working on writing a new song before falling off to sleep. Before the concert the four members literally had a taste of Seattle picking up some fruits from market stalls and drinking coffee at Starbucks’ first branch. It was show time on Jan. 15 when they kicked off the tour, their first in North America. Fans even celebrated Seunghoon’s birthday although it was four days before. “Seattle rocks!” said the bandmates after the concert. “They were the most impressive … they enjoyed themselves so much watching the performance so enthusiastically,” they said. They are having the second performance today in Los Angeles and will move on to Dallas, Chicago, Toronto and New York. Watch the video at https://www.vlive.tv/video/119015.